The Who vs. 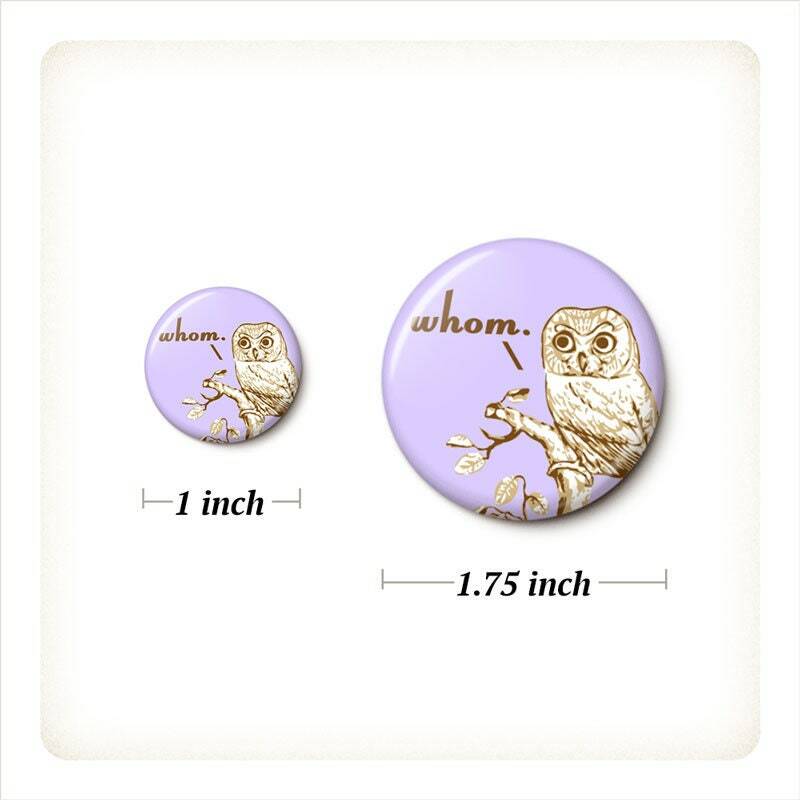 Whom Grammar Owls Button/Magnet Set includes: Who Owl and Whom Owl. 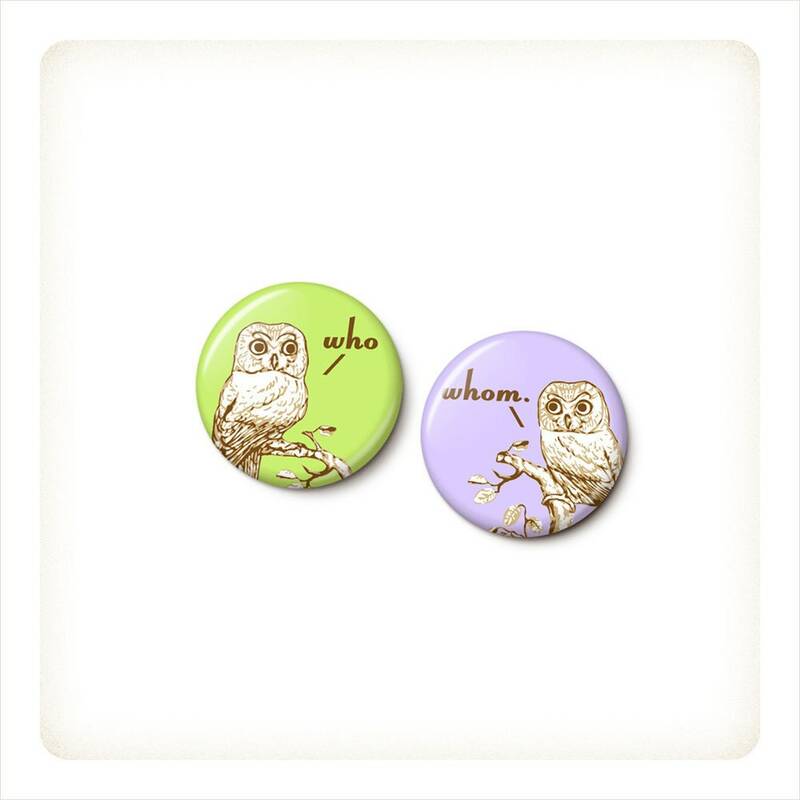 Set of 2 pinback buttons or 2 magnets, your choice. Perfect! I love them. :) shipped and received quickly. thank you for so much do the extra too! Great buttons with a bunch of gifts included. Beautifully packaged. Yea! I love them. These are fun because my sister is an English teacher and she is always correcting our English. I've caught her a few times with typos and I got her back. Thank you for the extra magnet. I will tease one of my sisters with it.